As more and more areas of health care are being addressed by the U.S. government, wellness program legality is an important topic for employers to understand. Wellness programs must comply with federal and state law in regards to several areas including: confidentiality, protection of off-duty conduct and nondiscrimination. Several different Acts will affect the way a wellness program needs to be run. This blog post will focus on the consequence of the Americans with Disabilities Act (the ADA). When considering your workplace wellness program’s legality, ADA compliance is one area that should be thoroughly looked into and understood. The ADA prohibits employers from denying individuals an equal opportunity to participate in or receive benefits under wellness programs. 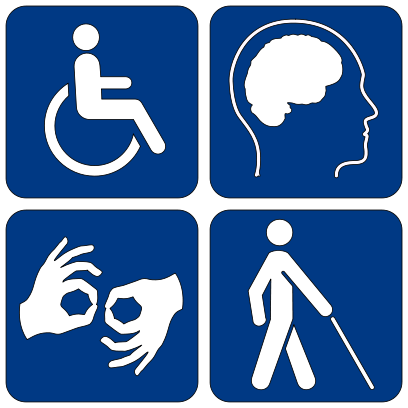 Qualified individuals with a disability must be given accommodations which allow them to participate in these provided programs. This act certainly does not prohibit employers from offering programs that promote good health and disease prevention, it only creates a compliance issue for employers. Employers must be careful to comply with the ADA’s regulation of non-discriminatory participation. How Does the Law Impact Corporate Wellness Programs? For example, if the wellness program your company is providing offers rewards based on an individual’s scoring on a health screening or his or her ability to reach certain health goals, accommodations must be made, under the ADA, for participants whose scores or goals may be affected by a disability. The ADA also affects wellness program legality by stating that employers are prohibited from making medical inquiries or requiring medical examinations for employees unless they are distinctly job-related. Voluntary screenings are not prohibited under this Act, but a penalty for those employees who do not wish to participate is prohibited. The importance of speaking with a legal advisor concerning these issues cannot be stressed enough. Each situation is unique and because there are multiple pieces of legislation that impact how a wellness program should be run, corporations must take great care to receive sound council in order to remain compliant on all points. Certain circumstances may cause ADA compliance issues while others may present more of a HIPAA compliance issue. As a matter of fact, tune in next week for part 2 of this series, which will discuss wellness program legality as it relates to HIPAA. Ensuring that your wellness program is legally complying with every area of state and federal law will protect you, your company and your employees from messy legal disputes down the road and is worth taking time to understand. For more information on compliance, download the free resource below! Wellworks For You has been working in the wellness management field for years and we can help your company ensure compliance on all levels.